UPDATED: Sat., March 17, 2018, 4:14 p.m.
NEW YORK – R&B singer SZA didn’t let a torn ligament in her foot slow her down at a concert for her feverish fans in New York City. She walked into the venue Friday with a crutch helping her to the chair placed in the middle of the stage. She injured her foot while performing last week at the BUKU Music + Art Project festival in New Orleans. Backed by three musicians, she delivered her direct lyrics from songs that helped her become the most nominated woman at this year’s Grammy Awards, while her fans sang along. Though injured, she performed in style, wearing fuzzy, platform, pink slippers though her right foot had a brace on it. “I don’t really have a plan, but we’re gonna, like, wing this,” she said after singing her first song, holding onto the microphone stand for support. Her performance at Samsung 837 was in celebration of the company’s new Galaxy S9 phone, released Friday. 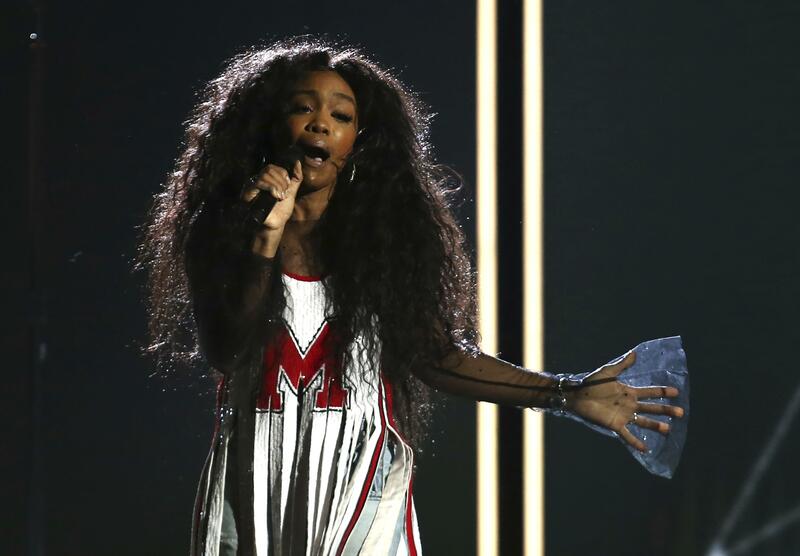 SZA was nominated for five Grammys at January’s show, including best new artist and best urban contemporary album for “Ctrl,” her major label debut that recently hit platinum status. She will launch “The Championship Tour” on May 4 in Vancouver, British Columbia, with her Top Dawg Entertainment label mates Kendrick Lamar, ScHoolboy Q and others. Published: March 17, 2018, 4:14 p.m. Updated: March 17, 2018, 4:14 p.m.